Our extensive smart mobility and automotive coverage examines ADAS, active safety, autonomous driving, connected infotainment, and consumer telematics. We aim to provide technology implementers with authoritative insight to help future-proof their automotive business models by examining industry trends in automotive semiconductors, sensors, mapping, deep-learning-based machine vision, AR, HMI, and 5G. Waymo, Uber, Ford and, BMW are among the multiple players who have committed to bring SAE level 4 or level 5 vehicles to market within the early years of the next decade. Almost all OEMs have positioned connected, automated vehicles as the cornerstone of their future strategy, hailing the advantages they will bring in terms of safety and efficiency. However, with the self-imposed deadlines for implementation fast-approaching, OEMs are still struggling to validate their autonomous vehicles and have confidence that they will be significantly safer than manually-controlled vehicles. Far from being a question of better sensors or greater processing power, the biggest barrier to deployment is now experience – ramping up the volume and variety of the situations which autonomous systems have navigated. Webinar: Smart Mobility, Smart Cities, and Smart Home: the Holy Trinity for Automated Living? Over the course of 2018, both Amazon and Google made a series of announcements and partnerships that outlined their serious plans for the automotive market. Google announced partnerships with Audi, Nissan, Mitsubishi, and Volvo to co-develop infotainment systems based on Google Products. Meanwhile, Amazon announced key partnerships with Audi and HERE to integrate Alexa voice-services into their infotainment platforms and solutions. WiTricity’s Acquisition of Qualcomm Halo Paves the Way for Wireless Charging, but How Best to Integrate? Volkswagen-Mobileye-Champion: A Blueprint for Autonomous Vehicle Deployment? 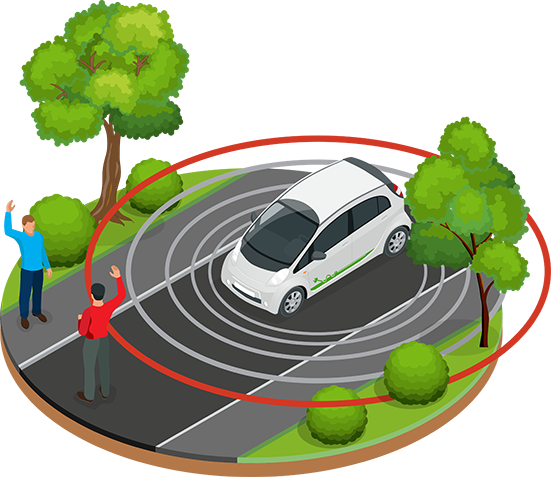 Is There a Need for Remote Control for Autonomous Vehicles? How Can TomTom Compete in the Autonomous Driving Space? Is Voice Control the Webscale Trojan Horse into the Car? In November 2017, HERE, a leader in digital mapping and location intelligence, acquired Advanced Telematic Systems, adding Over-the-Air (OTA) technology to their automotive portfolio. What’s Next for Rideshare Operators, Shared Mobility, and the Sharing Economy? Which Vertical Is Ripe for Connectivity+ and UnTelco? Safety Ratings Continue to Drive ADAS Adoption, But Where are the Long Term Opportunities? Tesla Promises Driverless Car by 2020: Are We Ready? Is California Getting Cold Feet About Driverless Cars? VW’s DieselGate: the Final Wakeup Call for the Automotive Industry? NHTSA Rushes V2V Rulemaking, but Is the Window of Opportunity Already Closing? HERE Lands Major Navigation and Connected Car Win with JLR, but Will It Stay Part of Nokia? BMW’s “World’s First Mobile Femtocell”: A Practical Solution or a Marketing Gimmick? Could Smart Watches Be the Next Must-Have Car Accessory? Is This the End of the Road for Truck Drivers? Why Should the Automotive Industry Be Concerned about Net Neutrality? Over-the-Air Updates: The Connected Car Killer App? Connected Low-cost In-dash Navigation: the End of the Journey for In-car Navigation? Smart Mobility, Smart Cities and Smart Home, the Holy Trinity for Automated Living? This webinar will explore adjacencies between and synergies across the smart home, smart mobility and smart cities verticals according to functional areas linked to living, mobility, energy, entertainment and infotainment, security, healthcare, education and work. Next generation technologies like micro-grids, driverless cars, voice assistants, AI-based surveillance cams, robotics, and biometrics allow functional domains to cross over into non-native verticals to offer more seamless, holistic, complementary and automated experiences, blurring the boundaries between segments and industries. Examples include paradigms like Car as a Living Space or Office, home-based healthcare, distributed energy generation, crowdsourcing home- or car -based surveillance cams for public use, and last but not least the Car as a Mobility Service. We will also provide examples of vendors which are well placed to take advantage of these cross vertical adjacencies. Why is the battle for the smart home important? Why driverless cars will only make sense in a smart city context? How will the sharing economy, asset crowdsourcing, and distributed generation paradigms transform living in the future? Which are the key underlying transformational technologies? Who are the key players offering cross vertical solutions?